Learn about the Pay-Per-Click in less than 60 seconds. Google AdWords ® PPC marketing promotes your business in Google search results through advertisements targeted to your local market, using keywords that meet your marketing goals. Google AdWords is a form of Pay-Per-Click marketing, also known as PPC, SEM, paid ads, and sponsored ads. PPC ads may appear in Google for a wide range of keyword searches relative to your business. How does PPC work? Pay-Per-Click marketing is just that – you only pay when someone clicks your ad and visits your website. We customize and bid on the right keywords for your business. When someone’s Google search matches one of your keywords, your ad is eligible to appear, depending on the keyword’s popularity and number of competing ads. What Will Autoshop Solutions and Pay-Per-Click Mean for Me? Want to show off your best skills and get more business for them? With our Pay-Per-Click program, this client dominated Google searches for repair, tires, and towing.  With smart-phone and tablet searches at an all-time high, your customers are searching for you on a mobile device. Make sure your website is mobile responsive. We are a Google Partner and an Adwords Certified Company. We deliver on commitments and have the automotive industry’s best people. Put us to work for you and achieve marketing success. If your website is already found for basic automotive keywords (e.g. 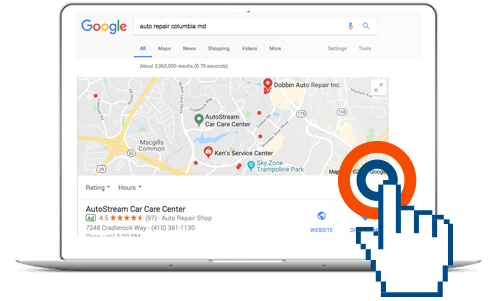 “auto repair”), Google AdWords improves your search presence for a wider range of auto service and make-specific keywords, such as “ford auto repair” and “transmission repair”. Your PPC ads can appear in Google search within just a few miles of your shop. This focuses your PPC budget to your local customers. We optimize ads for mobile phones, to capture potential customers in need of your service right now. By using the correct keyword terms in your Google AdWords campaign, we attract high quality visitors to your website, looking specifically for services you offer. We work exclusively on keywords relating to the automotive industry. Do you want more European vehicle customers? Or to increase the number of brake repairs, transmission work or inspections that come through the door? 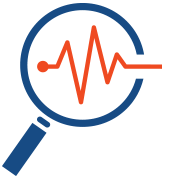 We can target anything from specific services or makes of vehicles to individuals looking for technician positions in your area.  Think PPC ads don’t work? Think again. After years of managing Google AdWords pay-per-click campaigns, we have one conclusion: It works! When managed correctly, PPC can attract quality traffic, which drives more cars to your bays. Autoshop Solutions is an AdWords Qualified Company. We have been providing transparent Google PPC marketing since 2006. Because of our numbers and the transparent way we run Google Adwords accounts for our clients, Google awarded us a partnership with their designated automotive team. We have exclusive access to a team of PPC experts at Google. We are proud to be the first agency in the automotive aftermarket with this honor! Our partnership with Google lets us offer our clients the highest level of support. Our dedicated Google account managers work with our marketing team to implement new solutions that generate the best results for our clients. Review the Google AdWords disclosure notice to learn more about our partnership with Google and working with third-party partners. We send your billing information directly to Google. What does that mean? There is no markup on AdWords click cost. You know that every penny of your Google AdWords budget goes directly to clicks to your website or calls to the shop. We are the only agency in the automotive industry that operates with this level of transparency, which has earned our unique partnership with Google. We are the first in the industry with a dedicated automotive PPC team at Google to deliver innovative PPC solutions directly from Google to our clients. As with all of our services, we don’t operate on long-term contracts. What does that mean? We need to deliver results! Our Marketing Services Team works hard to ensure your account performs optimally, and your PPC clicks not only deliver quality visits to your website, but visits to your shop. Many shop owners have tried running Google AdWords on their own and experienced poor results. Without the proper settings and keywords, you can easily end up spending far too much money with little to no results. Trained PPC specialists have the right expertise to optimize your campaign and avoid wasting your PPC budget. In addition, an effective AdWords campaign requires a quality website, optimized with great content and other factors. Your website and content has a significant impact on the performance of your PPC program.